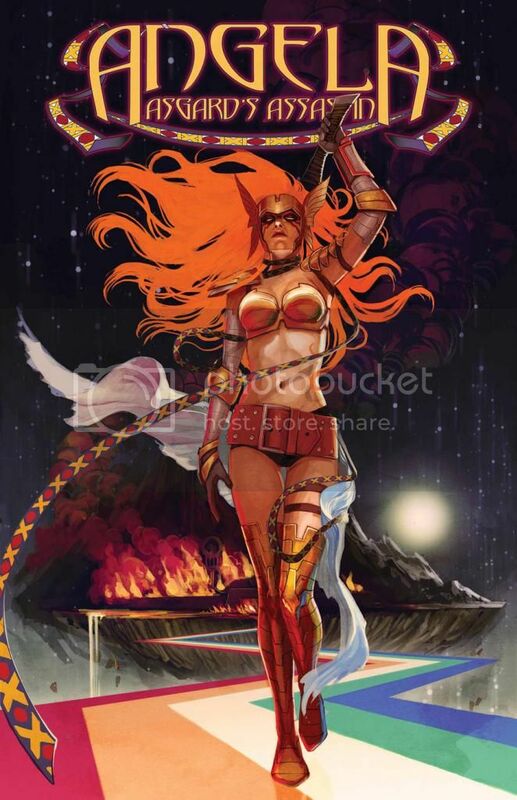 Angela: Asgard’s Assassin #1 (Published by Marvel Comics; Review by Draven Katayama; ‘Rama Rating: 9 out of 10): Kieron Gillen and Marguerite Bennett’s new story feels like Game of Thrones in space, with stubborn monarchs, clashing swords, and unspecified species. In an early fight scene, Phil Jimenez uses creative panel layouts to give Angela a nearly full-page, imposing presence as an efficient killer. Romulo Fajardo’s juxtaposition of glowing eyes and glimmering armor against pale, dusty backgrounds completes the otherworldly setting. The substory achieves better tension than the main story. Stephanie Hans’ art is attractively lush and thickly applied, like watercolor soaked into canvas. 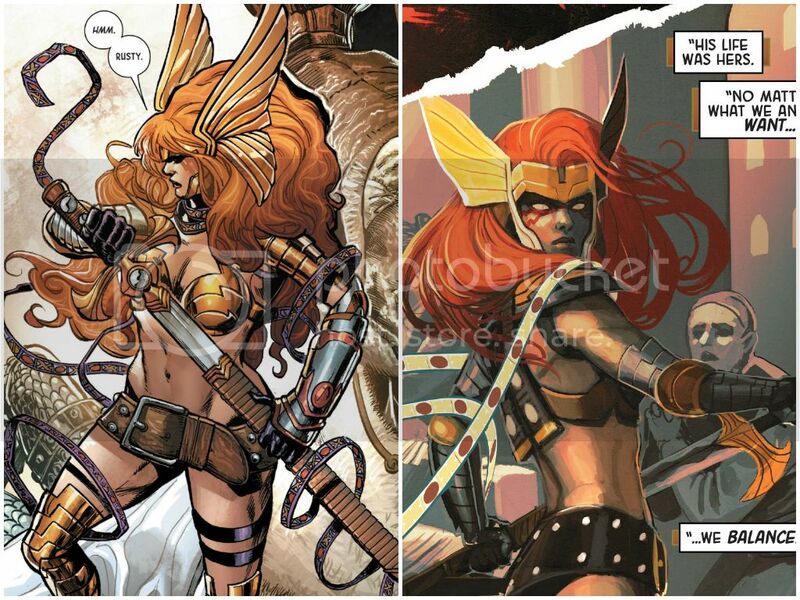 This is a wordy debut, but Bennett and Gillen successfully distinguish Angela from Black Widow: Angela’s flat affect and unabashed ego are unique among Marvel solo leads. The art and setting make this the Marvel solo title that is closest to the fantasy genre.